Belize NMS: Warm and relatively unstable conditions persist. 24-hour forecast: Sunny with cloudy periods today and cloudy at times tonight. Showers or thunderstorms will be isolated, except over inland and northern areas ithis the afternoon, where a few more will occur. Tomorrow: Winds: Light and variable becmg E/SE 5-15 kts. ; seas: Light chop - choppy. 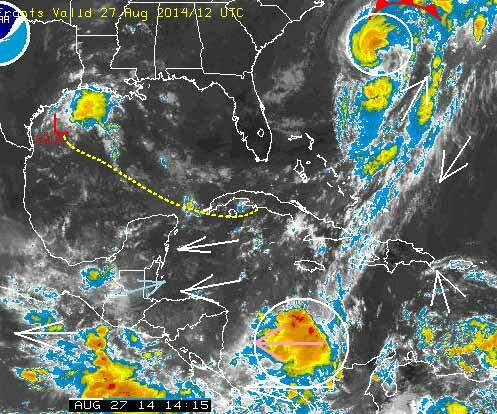 ; waves: 1-3 ft.; isolated showers and thunderstorms. Marine Outlook: Thursday night:- winds: E/SE 10-20 kts. ; seas: Choppy - moderate; waves: 3-5 ft.; isolated showers or thunderstorms. General Outlook: Through to Friday morning: Becoming cloudy with a few showers and isolated thunderstorms occurring inland. Tropical Weather Outlook: Hurricane Cristobal is centered near 30.9°N latitude, 71.9°W longitude or about 430mls West of Bermuda. Cristobal is moving to the N at 12mph with maximum sustained winds of 80mph. 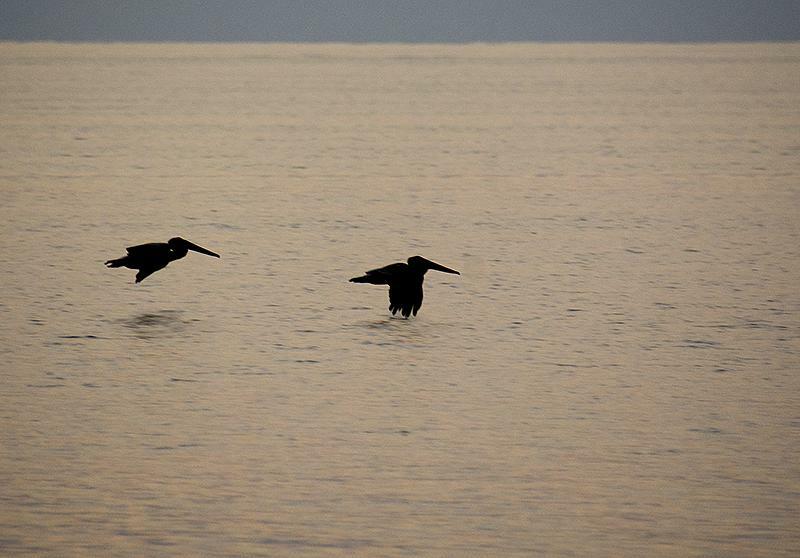 The calm continues on Ambergris Caye this morning. Our expected high is 91 and the sky is clear. That rain I mentioned for yesterday was mainly in the south, but some scattered in other parts of Belize.. ...... That has, finally cleared up by about 8am this morning.. . ... I am not seeing any other rain on the Radar. Belmopan is a nearly cloud free, sunny morning, with light SW winds. . . . . . The general, higher winds are from the East, so I expect Cloud to build up as the day goes on, which might bring some rain later. That Storm, Hurricane Cristobal appears to me, to be dissipating now, and probably not much problem to Bermuda or the States. But there is a very rapid development of activity in the southern Caribbean, that could turn into a storm, and is moving towards Belize.